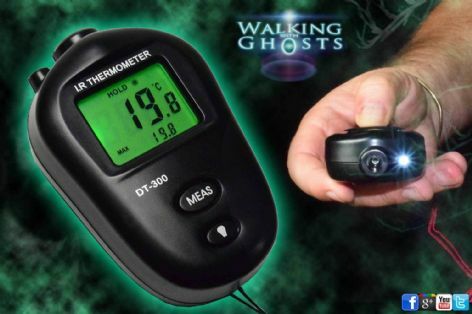 The IR thermometer has become a vital tool in the paranormal investigation field. 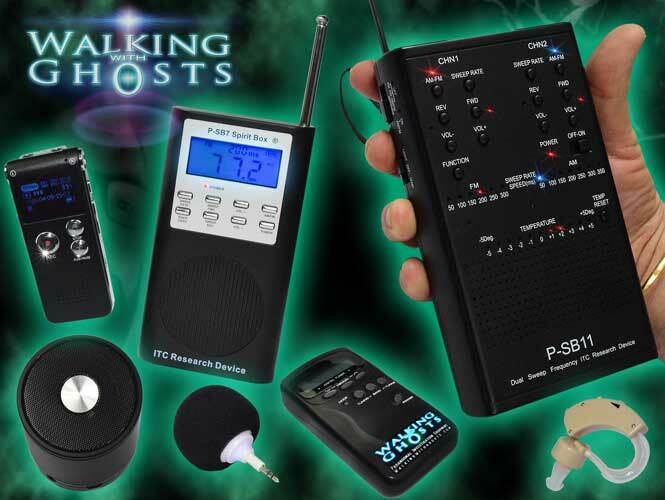 They are used by many TV ghost hunters and private investigators alike and come in many forms.This particular model has been selected by us after much research as it is compact pocket size, has a bright clear automatic back-lit display and also has a small flashlight on the front of the unit. Simply press and hold the main button as you scan the device around, the back-lit display will automatically come on and show the temperature found in a short direct line in front of the thermometer. Once the button is released the last reading will stay on the screen and the screen will remain lit for around 20 seconds. The device is ideal for finding cold spots in a room as it is a short through version focusing on the area just a few feet in front of the unit rather than picking up misleading long range readings. The principle of the theory is that spirits and ghosts are thought to alter ambient temperature and even cause cold spots in otherwise warm areas when present. People will often feel a chill or shiver when they think the presence of a spirit or entity is near. These devices can quickly determine whether the temperature is truly altered in the specific area or if it is simply a perceived reaction by the person. 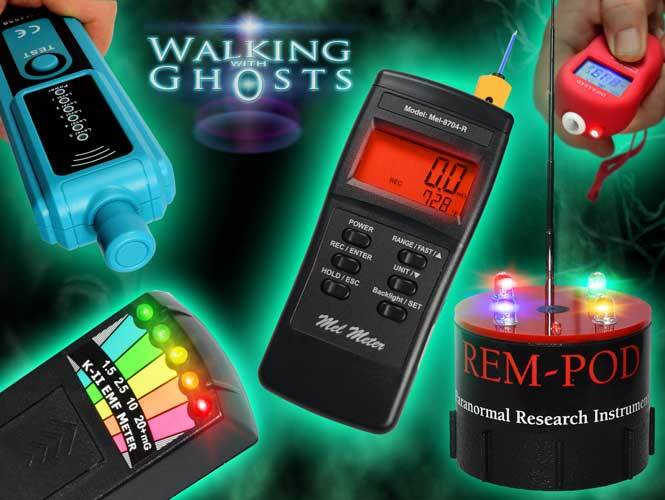 You should firstly scan around the area to be investigated for a baseline reading then follow up looking for unexplained fluctuations throughout the investigation. The device is 8.5 cm x 4.8 cm x 2.5 cm, comes with 2 AAA batteries installed and a handy wrist strap attached.